Crime thriller always have that an air of excitement which tags along with the book. Most of the times the story enchants and mesmerises and grips in to the mind of the readers. 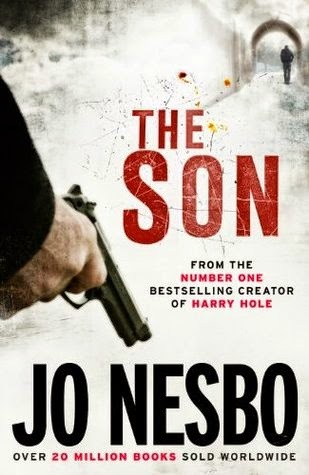 Author Jo Nesbo in his latest offering "The Son" tries to weave his magic again with a new idea. So does this idea works and blends right in to the veins of the readers? Let's find out. Sonny is a model prisoner. He listens to the confessions of other inmates, and absolves them of their sins. But then one prisoner's confession changes everything. He knows something about Sonny's disgraced father. He needs to break out of prison and make those responsible pay for their crimes. First look at the title and the cover and it creates a stir in the mind of the readers. A hand holding a gun and simple yet powerful titles delivers the goods and creates an exact set up for a crime thriller. The blurb is very short and talks about a man who has cut lose from the confines and is ready for payback. The blurb is dull and has nothing to cherish about and gives away too much in a few sentences. The story is of Sonny and his dreaded past. His father a police inspector committed suicide but was it really a suicide or a murder only few people know? Sonny is inside the prison doing time for some of the crimes he has committed or not no one knows except for him. Silence his best friend for the time being. But the time is not far when he picks his spot and starts taking down those who are responsible for his miserable life. What role Simon Kefas has to play in this whole story? What lies in the past which will alter the future of many? Will Sonny get revenge? That's what the story is all about. The story is a crime thriller which can be guessed easily by the readers. It lends voice to the sufferings of a man and in a dramatic manner. The intensity manages to be there in the entire book. The plot has few moments to savour for a crime thriller fanatic. The downside of the book is it's lack of freshness. The dull second half, the predictable story line, the monotonous set up and a plain jane end that kills all the excitement surrounding the book. The plot leaks and leaks badly with nothing to cherish about. The hype of the protagonist dies down pretty quickly and the Inspector's role doesn't lives up to the expectations. Some pieces and characters don't fit in the book at all and leaves a lot to be desired. All in all the book lacks witty and suspense two key elements to bind the crime thriller together. The weak and plethora of characters add to the misery. The brief respite vanishes and it's again back to square one with nothing to cherish about in the story line. The story is a plain bland recipe served too cold.